These studies/campaigns promote science, mathematics, and project based learning by engaging students in a before and after study of idling vehicles; they further provide students with the opportunity to learn how to run a public service campaign and empower them to make a positive difference in the school community. These campaigns are modeled on the excellent EPA Region 8 Idle Free Schools Toolkit. Note: Participating school parents, PTOs or school parent clubs are also encouraged to participate! 1These campaigns do not address idling of school buses as California already regulates the idling of school buses and other heavy-duty vehicles. 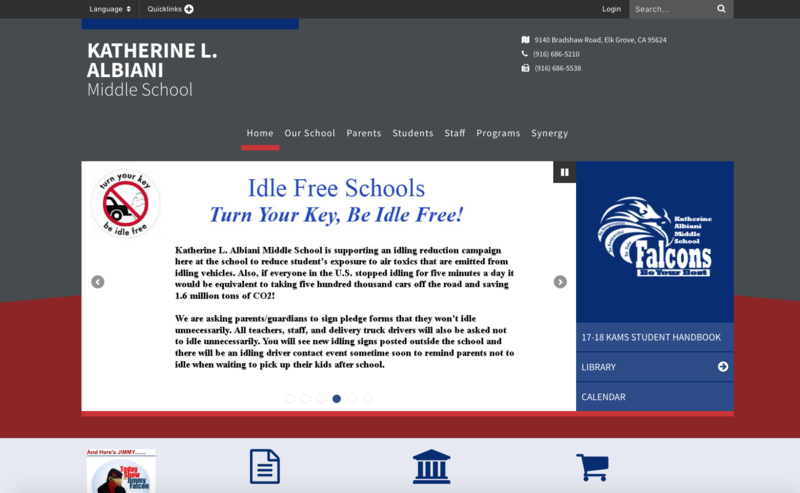 Why an idle-free schools project? • The U.S. EPA states: "Idling vehicles contribute to air pollution and emit air toxins, which are pollutants known or suspected to cause cancer or other serious health effects. Monitoring at schools has shown elevated levels of benzene, formaldehyde, acetaldehyde and other air toxics during the afternoon hour coinciding with parents picking up their children. Children’s lungs are still developing, and when they are exposed to elevated levels of these pollutants, children have an increased risk of developing asthma, respiratory problems and other adverse health effects. Limiting a vehicle’s idling time can dramatically reduce these pollutants and children’s exposure to them." • The California legislature, in 2016, adopted ACR 160, a resolution that addresses the issue of vehicular air pollution. Specifically, it encourages motorists to not idle their motor vehicles near places where children congregate. This resolution lists many compelling reasons to avoid idling at schools or just about anywhere. • In addition to the benefits in idling reduction these efforts provide, (1) students learn organizational, analytical and communication skills as they perform data analysis, are empowered by showing drivers the significant benefits in shutting off engines when parked, and take pride in making a positive difference in their school community, and (2) motorists learning of the benefits potentially apply them beyond schools. 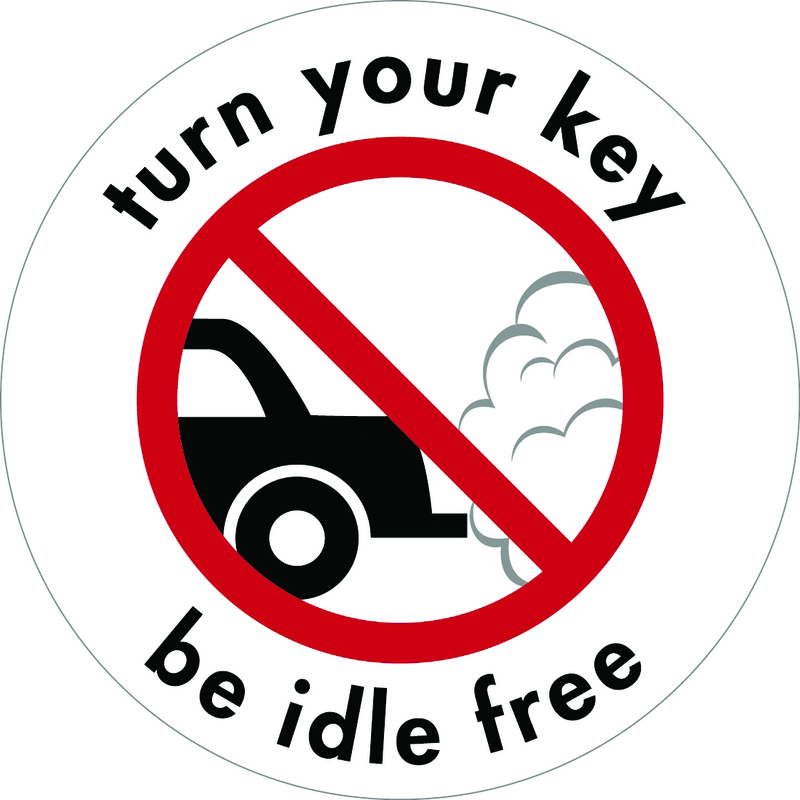 Idle-Free California, previously Idle-Free Vermont, has successfully implemented idle-free schools campaigns in Vermont for several years. The most recent year of school participation yielded a 46% reduction in idling. Details here. Teacher commendations. Shelburne Community School campaign. How it works and what's included! (1) Sept. or Oct.: An initial training session in the classroom is given by Idle-Free California Executive Director Wayne Michaud. It features a 45-minute PowerPoint and video explaining what idling is, the benefits in avoiding it, and campaign steps. Handouts for students and teacher toolkit are provided. (3) Nov.: Schools install two no-idling signs provided by the project and announce support of the idle-free campaign in the school newsletter and/or on the school website. (4) Feb.: Students conduct a driver contact event for two days. With a display of idle-free signs made by students and parents, students approach parents/guardians in vehicles and follow a memorized script as they explain the benefits in avoiding idling; drivers receive informational handouts provided by the project. (5) April: In the same manner as step 2, students conduct a study of final unobtrusive data collection for four days. * Then "before" and "after" data are compared to determine a difference. *For steps 2 and 5 schools optionally are welcome to supplement data collection by utilizing emissions analyzer and sensor equipment that schools or districts may have available. Note that students are made aware idling when parked can be necessary such as for the well-being of passengers that are infants, frail elderly, or pets in weather extremes. They also learn that a small number of vehicles — hybrids such as a Toyota Prius or electric vehicles such as a Nissan Leaf or Tesla — seldom idle or do not idle when running. Once a teacher is interested in project participation, the teacher is asked to obtain verbal approval of the school administration; if written approval is required by the school, an approval form is available. • optional: schools are encouraged to consider adopting policies, procedures, or handbook rules that limit idling on school grounds. line slowly move forward to school entrance. least 15 minutes prior to dismissal. *Amount of fuel consumed based on passenger vehicle — car/SUV/pickup truck — idling consumption of 0.43 gal/hr. "It's Not Cool to Idle at School"